Ambrosia apples are crispy, sweet, and juicy! 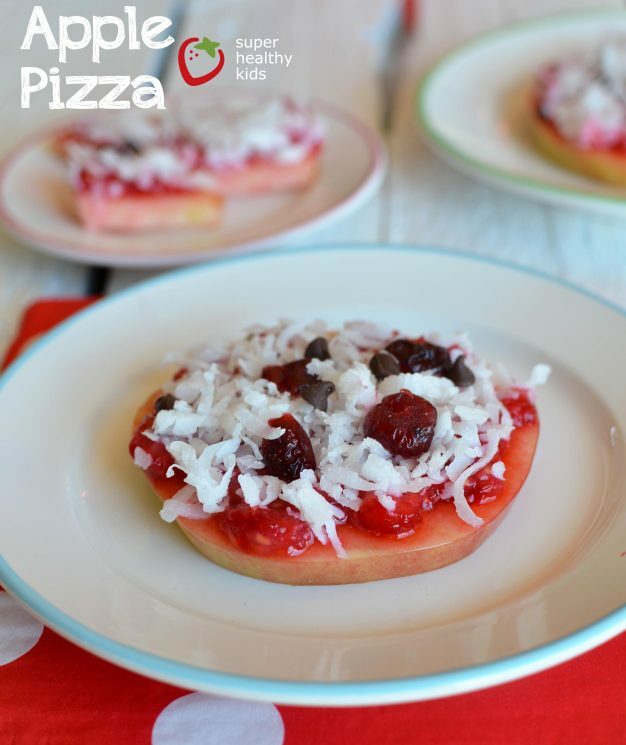 my kids loved making these Ambrosia Apple Pizzas for a fun snack! They don’t brown as quickly as other varities. 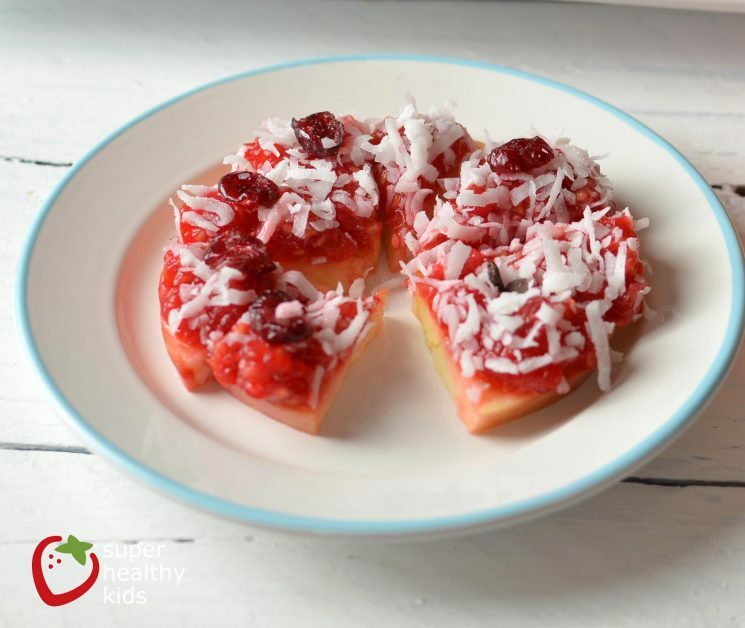 Apples are so important to add to kids diet. The Phytochemicals found in apples help maintain a normal blood sugar, literally slowing down the absorption of glucose in the digestive track. Apples are a good source of fiber. Cholesterol levels are lower in persons who regularly eat apples. 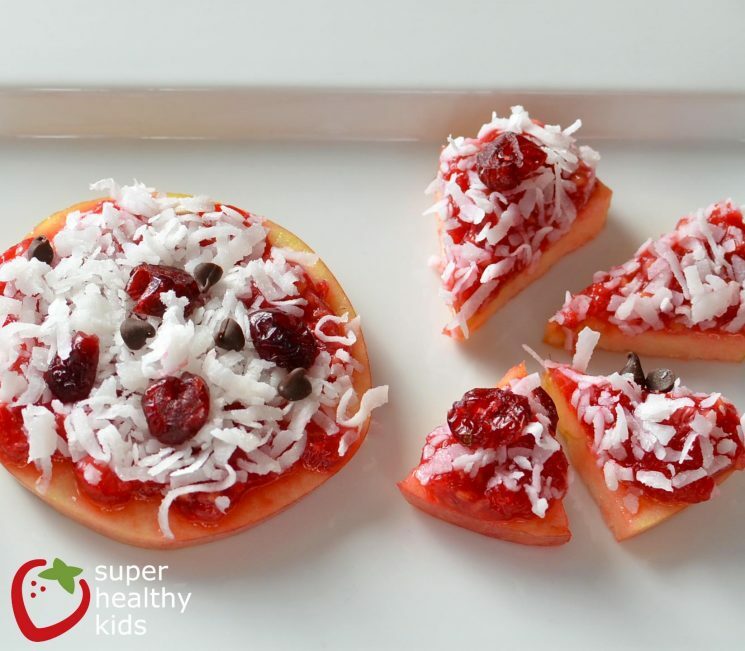 Apples can be modified according to your child’s preferences. Erica used to hate applesauce, but love chopped apples. 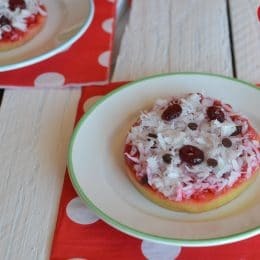 These were SO DELICIOUS! 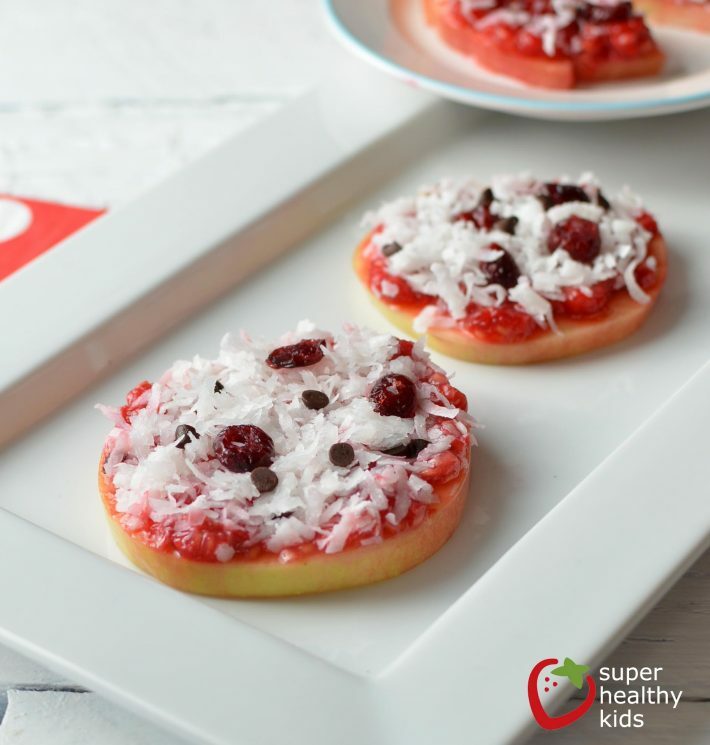 As you can imagine, the sweetness from the Ambrosia apples, the berries, and the coconut made this not just a snack, but a dessert as well. 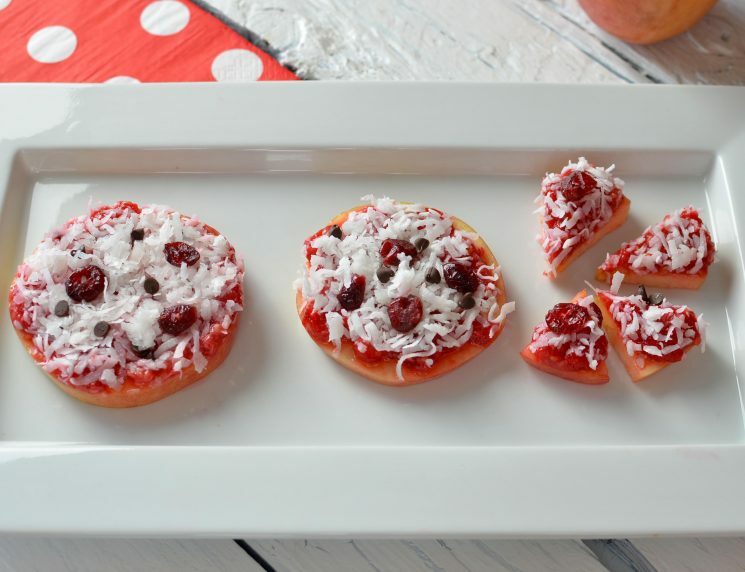 Are there other toppings you would put on these? Next time you are at the grocery store, check the produce department for Ambrosia Apples. While the seed was first found in Canada, you can now find Ambrosia apples in North America, Europe, Chile, and New Zealand! Slice apples through the width to make the crust. Mash raspberries to make a spread. 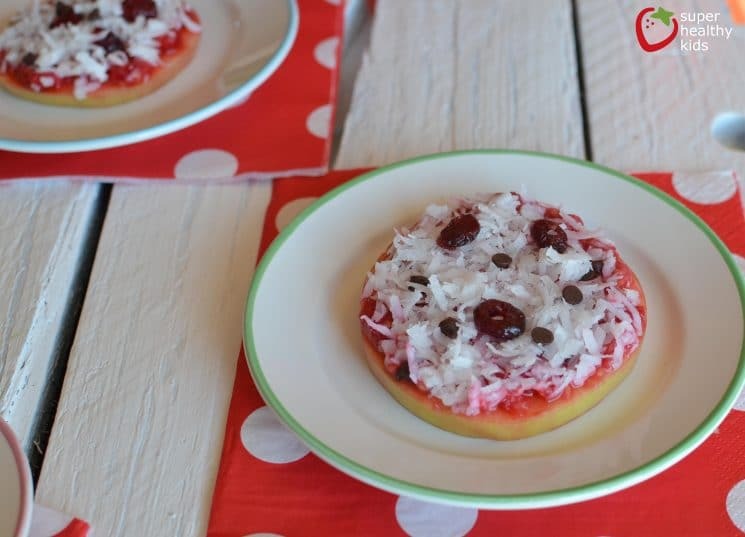 Sprinkle with coconut, chocolate chips, and dried cranberries.